Avenue Graphic Design Agency in West London. Brand consultancy, design for print, website design and digital marketing. About Avenue, graphic design agency in West London. Brand design, marketing materials, web design and digital communications. Avenue branding agency and brand consultants based in West London. Corporate identities, logo design, brand guidelines and implementation. Brochure design, magazine design, leaflet and flyer design, product guides, books, business stationery, annual reports, point of sale, and packaging design by Avenue in West London. Creative website design, web designers and digital marketing by Avenue in West London. 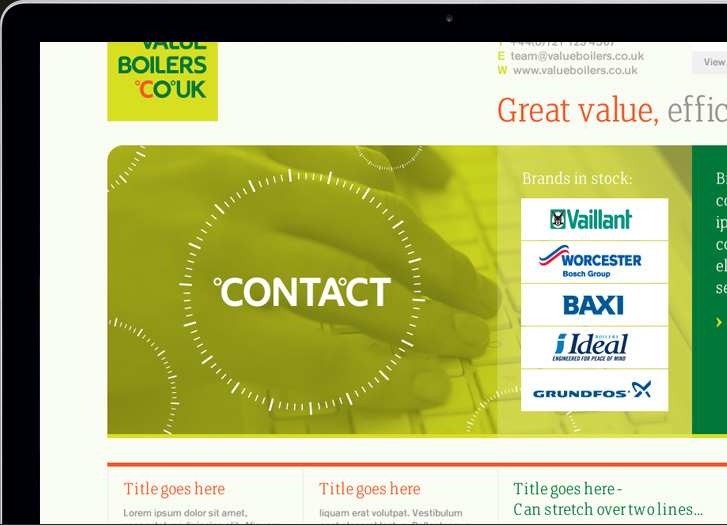 From websites to bespoke smart phone and tablet apps, we help brands harness digital media. Get in touch with Avenue, graphic design agency based in West London. Brand design, marketing materials, web design and digital communications. Latest Graphic Design news and blog from Avenue, graphic designers based in West London. 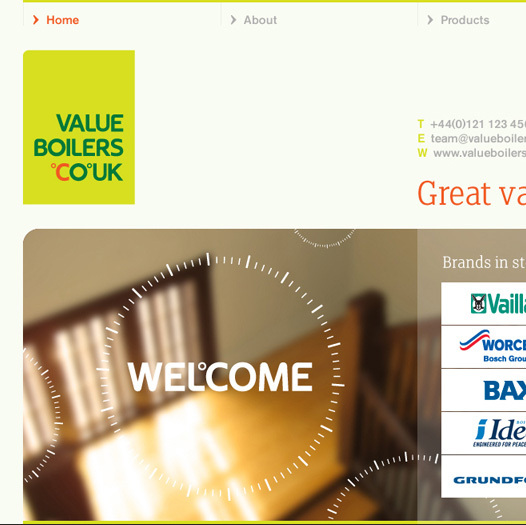 ‘Great Value, efficient boilers’. 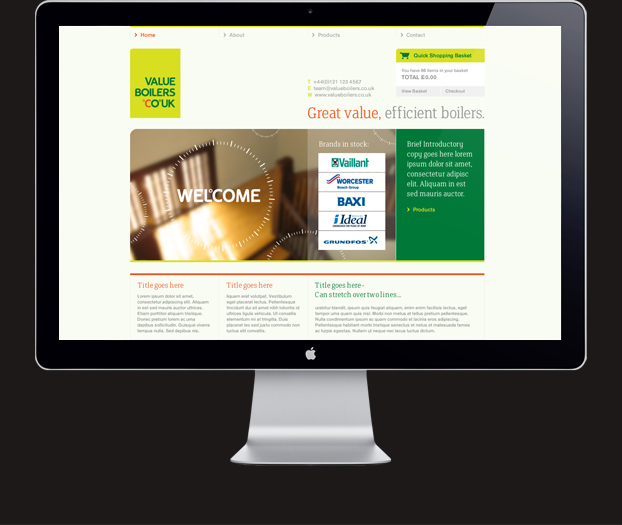 This is the simple proposition from Value Boilers. 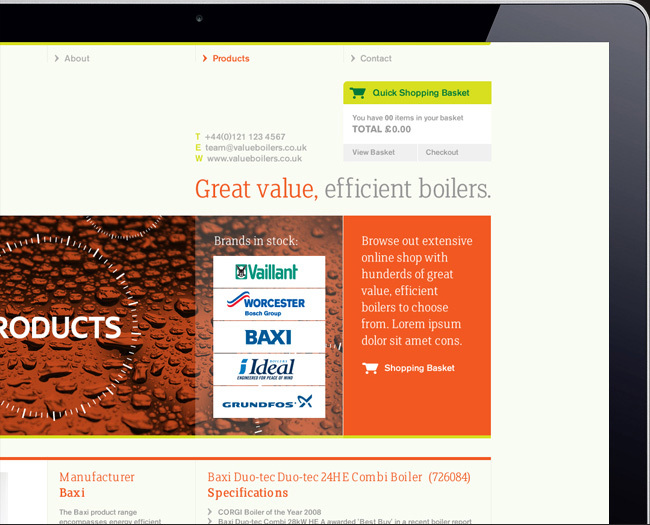 Avenue were briefed to design a brand and e-commerce website that established this start-up as a memorable and trustworthy, go-to site for tradesmen in the plumbing industry. We began with a logotype that steers clear of typical water droplet cliches, and flourishes on a strong green signature colour combination. The identity lends itself to the fuel-efficient, environmentally friendly properties of the firm’s stock. Leads were taken from the central heating thermostat to assume a typographical presentation that is unique to Value Boilers. 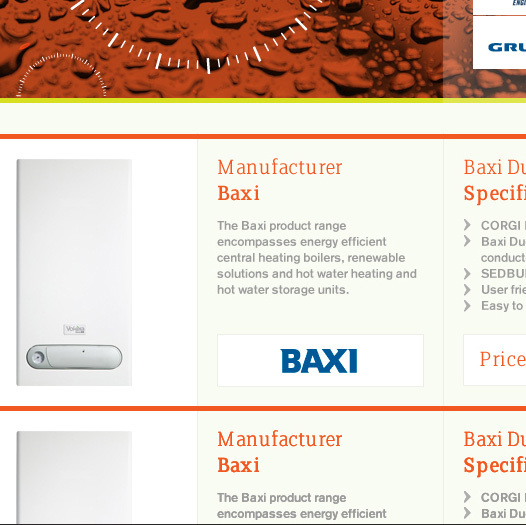 The branding was then implemented with consistency across a site that boasts an exceptionally versatile content management system. Email Avenue, Branding, Website and Graphic Designers in West London. © 2019.